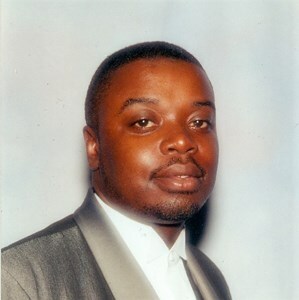 Newcomer Family Obituaries - Calvin L. 'Calwezzy' Clark 1967 - 2019 - Newcomer Cremations, Funerals & Receptions. Calvin L. Clark, age 51, of Cincinnati, Ohio passed away on Monday, March 18, 2019. He was born in Cincinnati, Ohio on November 13, 1967 to Henry and Pearline Gibson (nee Clark). He was preceded in death by his parents. Calvin is survived by his beloved wife of 32 years, Chanta L. Tuck (nee Tuck); children, Cortez (Ziairah) Tuck, Calvin (Ronashe') Tuck, Chantniea (Dale) Tuck, Kayla Tuck; grandchildren, Da'ryiah Nelson, Zayivon Chambers, K'andre Copeland, Cortez Tuck, Jr., Donte' Tuck, Jamal Stallworth, Jr., Zamyiah Tuck; siblings, Linda Hampton, Mark (Gail) Clark, Jeffery (Terri) Clark, Shanta (Dedric) Gibson, Jeanette Gibson, Annlois "Shane" Gibson, Henry Gibson, Jr., Joseph Gibson, Deon Gibson, Marco Gibson, Doretha (Lionel) Dunn; nieces, nephews, and a host of other family members and friends. Funeral Ceremony will be at 4:00 pm Friday, March 29, 2019 with a visitation from 3:00 pm - 4:00 pm at Newcomer Northwest Chapel, 7830 Hamilton Avenue, Cincinnati, Ohio 45231. To share a memory of Calvin or leave a special message for his family, please click the Share Memories button above. Add your memories to the guest book of Calvin Clark. Calvin was a person that was always willing to help out wherever was needed. He and Shanta was always willing to help out with my daughter Jasmine while i was working. Really a good man so sorry that he had to leave us so early. Calvin you will truly be missed. A wonderful man who leaves a legacy of so many great memories with his family & friends. He will be sorely missed by all who knew him. Good thoughts and prayers for all who will miss him. We mourn with you in the loss of our dear loved one. We will keep the family in our thoughts and prayers during this difficult time. However, remember that God is more than able to comfort and give us peace during this and any other trials we face in life. Zollie & Ruth Harris, Jr.